As we announced in recent news, Respiro Nocivo, a ska-punk band from the province of Vicenza, released on March 20th the EP entitled “Sepolti nel Buio”, which is the first part of a double EP. The album, which consists of 5 tracks, was anticipated by the release of the single, with its video, of “Andando Lontano”. This is the song that opens the EP and is about journey, also meant as a discovery, or rediscovery of oneself: “A volte è andando più lontano che capiamo ciò che siamo” (Sometimes it’s going further that we understand who we are). A very catchy song with the guitar as the protagonist, as in the following track, “La mia Crew”, a hymn to the deep and indissoluble bond that can be created in friendship. The third track, “Non berrai mai sola”, lighter both in music and in lyrics, is more strictly ska, with the sax very much in evidence and the final quotation of the classic par excellence of the genre “A Message to you Rudy”. We return to more punk sounds with the last two songs. “Resistere per Esistere”, very energetic and with nice dialogues between guitar and bass, invites you to sing to the ideals of freedom and resistance with lyrics half in Italian and half in Spanish. “Sepolti nel Buio”, which closes the EP, is the one with the most tragic and deepest lyrics. It ‘s about the victims of the silent massacres of migrations, people who, reduced to numbers in the umpteenth count of deaths, lose their lives and even their individuality: “Sogni, ricordi parole ed identità di tutti i volti caduti in mare non è rimasto niente” (Dreams, memories, words and identities of all the faces fallen into the sea nothing is left). The translation into music and words of the very evocative cover image, a flower, a pitiful tribute, placed on a sea reduced to a cemetery. 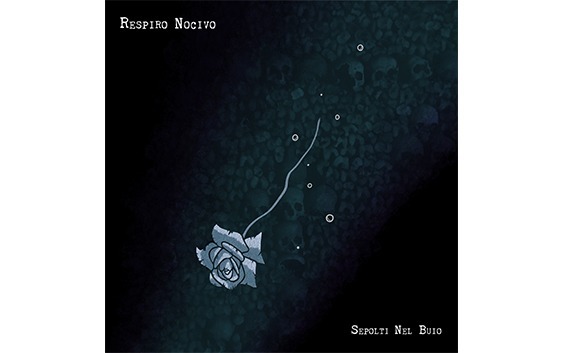 With this very pleasant and well played EP, Respiro Nocivo, on the scene for ten years, confirm themselves as a very interesting group in our ska-punk scene. I would definitely recommend listening to it.